How did your weekend go folks? Mine has been super hectic. It started with a food event on Friday evening in London, followed by a late night catching up with friends. Saturday was spent exploring the desi shops in Southall. It was my first trip and I felt like I am back in one of the Delhi markets. The hustle, the bustle, the shops, the merchandise, the smell of street food took me right back to India. Of course the evening was spent watching Brasil defeat Chile. And today we had a BBQ at Beddington Park in Wallington, greater London, which is pretty near to our home. It's a massive park which allows BBQ. But the weather was a downer, it was cold and windy and it started to rain right after we finished eating. So not much cooking happening at home. However made strawberry milkshake for breakfast on Saturday and managed to click a photo. This is not my usual low fat, healthy drink. It is a full on thing with cream and full fat milk! I just cant have skimmed milk.. Full fat is my thing !! And this strawberry shake looks so refreshing Suchi .. 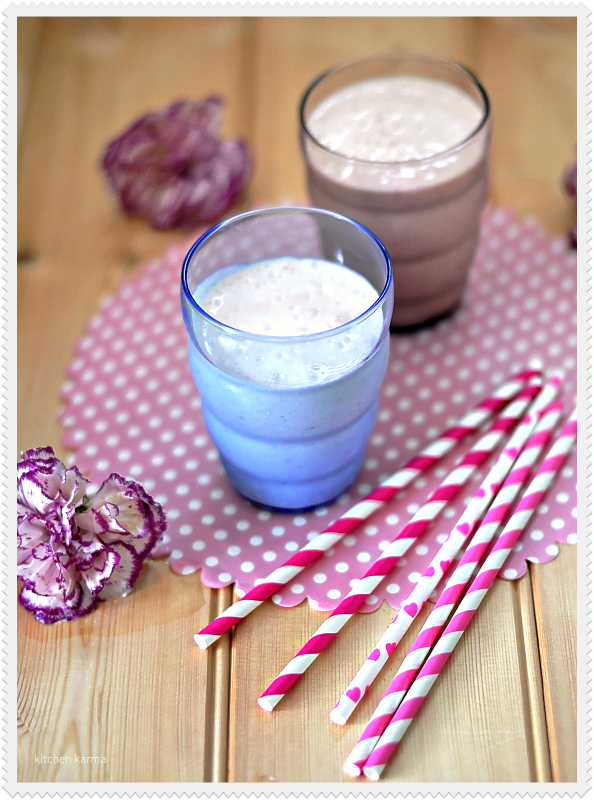 I usually add a hint of Rose essence in my Strawberry smoothies and shakes, love the flavour and aroma it provides. love these straws Suchi , John Lewis ?